From Victoria or Waterloo Station go to Clapham Junction. 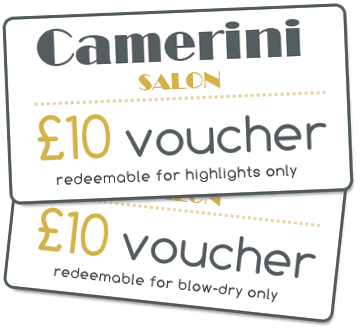 On leaving the station you will be on St. John’s Hill, turn right and Camerini Hair Salon is about a 10 minute walk. click here for a Google map. From Wandsworth Town you can get to Camerini by bus nr 39, 87, 156 or 170 towards Clapham Junction. Bus stop: St. John’s hill (Brussels road). From Clapham Common ( rookery road) bus 35, 37 to St John’s Hill (Brussels Road). From Clapham Junction train station is a less then 10 mins walk or bus towards Wandsworth 39, 87,156, 170 to St John’s Hill (Brussels Road). You may send us a booking enquiry or comments and suggestions using the form below. We are about 10 minute's walk from Clapham Junction - why not drop in for a chat?